The results of the parliamentary elections on 11 September surprised many in Belarus. Few believed that Lukashenka’s regime would allow independent deputies in parliament, but these elections have shown that the Belarusian authorities are at least willing to appear to change. Although this does provide optimism, Belarus and the West still need to create a new agenda to ensure that Belarus remains on a positive trajectory. In other words, the EU and US should not make demands that are completely unacceptable to the regime. The West's main requirement, free elections, is not an unreasonable one. However, increasing democratic space within the country should be a greater priority. This could be accomplished , for example, by moving Western foundations to Belarus and pushing for a greater number of opposition politicians in local councils. The idea that Lukashenka’s regime cannot change has existed for a long time, but the parliamentary elections on September 11 have showed a slightly different side to the Belarusian authorities. The author, an observer at the elections, personally witnessed the election commissions inflating turnout, while the process of vote counting remained opaque. In the end however, the Belarusian authorities surprised many by letting Hanna Kanapatskaja and Alena Anisim, two women with democratic views, into the parliament. This shows that Lukashenka's regime appears able to at least implement token reforms to appease the West. A year ago, the Belarusian government released a number of political prisoners to this end and now seeks to similarly utilise the democratic MPs. This is a huge step, despite the circumstances. The Belarusian authorities have in fact made concessions before, such as during dialogues of 2008-2010. At this time the regime returned certain independent newspapers to the public distribution system, such as Nasha Niva and Narodnaya Volya, and registered the Movement for Freedom, an opposition group led by Alexander Milinkevich. But today's concessions are of a different nature. Two people with democratic views received official status and a salary of $800 a month and influence, which has not happened in Belarus for 12 years. This legitimises democratic politicians even for those who are not sympathetic to the Belarusian opposition. Pro-regime experts often argue that Belarus is not yet ready for democracy, but the authorities are wisely taking baby steps in this direction. This is not the case. In fact, Lukashenka's regime would like to avoid democracy, as it would threaten many figures of authority or wealth: certain Belarusian officials have made their fortunes thanks to the authoritarian nature of Belarus. One example is Mikhail Miasnikovich, the head of the Upper Chamber of the Belarusian Parliament, whose watch reportedly cost $30,000. Nevertheless, as the parliamentary elections show, the Belarusian government is capable of some concessions. Changes have become possible largely due to the desire of Belarus and the West to continue normalising relations. As Lukashenka told Scott Rauland, then charge d'affaires a.i. 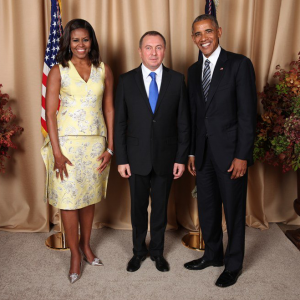 of the U.S. on July 6, Belarus will not have a full-fledged foreign policy without first normalising its relations with Washington. Today, Belarus needs the EU and the US for a variety of reasons – from economic support to a desire to distance itself from Russia. However, the Belarusian regime remains reluctant to cede power by holding free elections and the West needs to understand this. If the EU and the US require only free elections, it will not encourage the regime to make any concessions. On the other hand, it is vital that the West not give up its ideals, otherwise Lukashenka will lack incentive to reform. Both sides now need a positive trajectory, in which Western requirements do not exceed Lukashenka's ability to change. It is no surprise that the regime will require carrots, and the West should continue to provide them conditionally. For example, now that the Belarusian parliament has two oppositions members, the level of cooperation with the Belarusian parliament ought to be increased. The story of Anna Kanapatskaja and Alena Anisim shows what the West should focus on: gradual institutionalisation of democratic groups and civil society in Belarus. The European Union and the Unites States may require Belarus to clear the Augean stables. Some people, like Eduard Palchys, still remain in prison, while accusations against him appear at least partly politically-motivated. Belarus also retains article 193.1 in criminal law, under which a member of an unregistered organisation can receive two years in prison. The West must take a stand in these matters, but this should not be the focus of its energy, as these issues do not have long-term value. Lukashenka's regime can repeal the law, but nevertheless send people to prison under a different article in the event of a change in the political climate. For example, Ales Bialiatski, leader of the unregistered human rights organisation "Viasna", was sentence for allegedly avoiding taxes in 2011. More important is to contribute to longer-term changes – to increase Western presence and to help civil society and democratic groups to do the same. For example, the Belarusian authorities could allow Western political and civil foundations to open their representative offices in Belarus. Their activities may be monitored, but the presence of organisations such as the American National Democratic Institute or the Swedish Forum Syd will be more effective if they are conducted in Belarus. The funds will be able to reach a greater range of Belarusians and support more grassroots initiatives; they remain invisible while working from Vilnius and Warsaw. Moreover, a physical presence in Minsk will bring the West and democracy greater legitimacy in the Belarusian public space. Belarusian officials, experts or politicians can build long term relationships with the West and stop seeing the European Union or the United States as enemies. Thus, the West may require more opportunities for democratic groups from the authorities in the local elections in 2018. Representatives of the opposition do not yet have access to all local councils. Moreover, the value of such councils in the Belarusian system seems marginal. Therefore, the election of several dozen opposition politicians will not threaten Lukashenka’s regime, although it will strengthen the germs of Belarusian democracy. Vitali Silitski, the most well-known Belarusian political analyst, who died in 2011, often emphasised that change needs to come from inside the country, not outside. It seems that today a window of opportunity for active change has appeared. 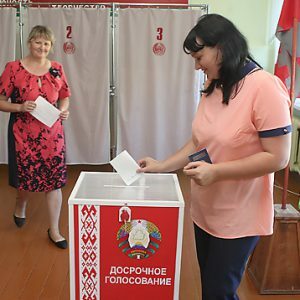 The Belarusian elections concluded on 11 September. They were condemned as “not corresponding to a number of key international standards” and “not a credible reflection of the will of Belarusian citizens” by the domestic election-monitoring groups “Human Rights Defenders for Free Elections (HRD)” and “Right to Choose-2016 (R2C)”. By some measures the organisation of the elections could have been worse. Some may cite improved rates of registration for opposition candidates, expanded debates on state TV, or the much touted ‘reforms’ to ensure observers would be able to stand within three metres of the counting table and that at least one side of the table would be unobstructed. Unfortunately, as observers’ reports make clear, such improvements amount to little more than a veneer over a highly flawed election featuring massive voter turnout inflation and culminating in the same nontransparent and questionable vote count reported in past elections. Domestic observer groups captured concrete evidence of massive nationwide efforts to inflate turnout totals during the five-day early vote period (6-10 September ) and on election day (11 September ). The Central Election Commission (CEC) stated parliamentary turnout was 74.8 percent, but observer reports particularly from parallel turnout counts suggest voter turnout was far lower. In the first days of the early vote period, observers noted many cases of forced or incentivised voting in which students, convicts or state workers were subject to pressure from administrators or managers to cast an early ballot. As the elections progressed, there were reports of “carousel voting,” ballot stuffing, and a significant number of unsecured ballot boxes. The most significant form of turnout inflation was conducted through blatant protocol manipulations in which turnout was artificially increased. The joint election monitoring coalition of political parties, R2C covered every polling station in nine specific parliamentary districts. This allowed them to conduct a parallel turnout count and document artificial turnout inflation at the precinct and district-wide level. As the following chart shows in seven of the nine districts observed by R2C, their observer reports conclusively show the elections were invalid because they failed to reach the 50 percent turnout threshold (see a R2C table below). Tell the Truth observers conducted a full parallel turnout count in Oktyabrskiy district #97. This is the much discussed district of Tell the Truth candidate Tacciana Karatkievič, a former presidential candidate and United Civic Party (UCP) candidate Hanna Kanapackaja, who was selected to serve in parliament. According to observer data the total turnout for the district was 40.6 percent, nearly ten percent below the required turnout threshold, which if not met requires a new election. The commission reported turnout at 59.7 percent. Tell the Truth’s count uses official turnout for mobile voting since observers could not observe the procedure and assumes 100 percent turnout in two polling stations where observers were stripped of accreditation. In their final report, the civic election observation group Human Rights Defenders (HRD) shows how turnout discrepancies between PECs and observers’ turnout counts skyrocketed during the last day of early vote as commissions, particularly in Minsk, faced the looming possibility of failing to reach the required turnout threshold. R2C parallel turnout counts show similar pattern of surging artificial turnout in some of their observed districts on the last days of early voting as exemplified in the following chart. Both HRD and R2C reports showed that final efforts to ensure a high turnout were made on election day through abuse of mobile voting mechanisms. At Oktyabrskiy district #97, polling station #230, a Tell the Truth observer claimed the PEC had two lists of mobile voters and the discrepancy between the two constituted 176 people. In district #85 in Mahilioŭ, R2C noted that 12.8 percent of voters (7,981) cast their ballot by mobile ballot boxes on election day. Two of the CEC’s touted reforms, allowing observers to be three metres from the counting table and promising that the observers would have a clear view of one side of the table were not followed consistently. Even when PECs left one side of the table unobstructed and allowed observers to monitor the vote count from the three-metre distance, the transparency of counting process remained flawed. The OSCE preliminary report stated, “ballots were counted by each PEC member separately rather than collectively,” thus making it difficult for observers to understand the votes allocated to a particular candidate. The decision not to count “collectively” – by holding up a ballot and announcing the results – did not come as a surprise, as the CEC Chair had announced before the election that this form of counting is not provided for in the law. HRD concluded that 95.31 percent of their observers described the vote count as not transparent, particularly since observers were unable to see the content of ballots due to their distance from the count and the chaotic nature of the counting table. On election day, Tell the Truth observers who covered 27 of the 29 precincts in district #97 where UCP candidate Hanna Kanapackaja was selected for the parliament, described the count as “not transparent” in 22 of the polling places. Efforts to control and verify the vote count were further complicated when observers were ejected from polling stations prior to the count. Reasons for dismissal included “creating a nervous atmosphere” and “drinking.” R2C reported 30 incidents of observers being barred from PECs on election day. After twelve years, opposition to the parliament: what does it mean? Much of the attention following these elections has centred around the surprise move of the authorities to select two opposition candidates for the parliament, ending a twelve year opposition hiatus from parliament. The two candidates who were selected to assume seats in parliament are independent candidate Aliena Anisim and United Civic Party (UCP) candidate Hanna Kanapackaja. The conventional wisdom suggests placement of two oppositionists in parliament was a “gift to the west” in hopes Belarus might receive a more positive assessment of the elections and as a result speed a recent warming of relations. Foreign analysts described the move as an act of financial desperation to secure loans. If the parliamentary policy shift was indeed meant to improve perceptions of Belarus abroad, then the short term results are mixed. The move has generated a series of positive stories in Reuters, Time, Associated Press and other western media suggesting that the political placement of opposition in the parliament is a sign of an improved electoral process in Belarus. This will likely be welcomed by the Belarusian authorities and may be promoted as a significant achievement by those advocating closer ties with Belarus and the West for any number of reasons. It seems, however, to have had no significant effect on the assessment of elections provided by experts, as in the OSCE’s preliminary election report or the post-election statement by the US State Department in Minsk. These more appropriately focused on the overall conduct of the elections, which deeply flawed. In addition to speculations of how Lukashenka is using the appointments in his geopolitical balancing game, there is internal speculation as to the reasons these two parliamentarians were selected. Aliena Anisim was discussed as a potential selectee to the parliament after the sudden withdrawal of the leading government candidate. Hanna Kanapackaja’s selection for the parliament, however, was far from predictable. Her party, UCP, is a traditional opposition party described as populist and provocative by the authorities and whose long time leader Anatoĺ Liabiedźka was imprisoned after the 2010 elections. Kanapackaja’s opponents included a government candidate, who was promoted through state media, and former presidential candidate from Tell the Truth, Tacciana Karatkievič, who some believed would be given the seat. A blog post by political scientist Ihar Drako published three days before the election titled “How to ‘Finish’ Karatkievič” accurately predicted Kanapackaja’s victory. The first of the two selected candidates, Aliena Anisim, ran as an independent candidate in her native Staŭbcoŭski district #70 in Minsk region. Anisim is a respected linguist and part of the national-orientated intelligentsia. She works as Deputy Chair at the “Belarusian Language Society” and at the Linguistics Institute of the Academy of Sciences. Anisim also hosted the program “Belarusian Language” on the state TV channel ONT. She was born in 1962 to a family of teachers. She studied at the philological faculty of Belarusian State University, and was active in the youth union “Majsternia,” one of the first Belarusian organisations (1980s) aimed at revival of Belarusian language and traditions. The second opposition candidate, United Civic Party (UCP) member Hanna Kanapackaja​ was born in 1976. She is a lawyer and the owner of a successful private legal firm. She has been a UCP member since 1995 when the party held its first founding convention. She ran at Oktyabrskiy district #97 in Minsk. Her father Anatol Truchanovič, also a UCP member, is a businessman and was among the first official millionaires in Belarus. Kanapackaja's parliamentary campaign was primarily built around UCP’s national platform “Million New Jobs” and was supported by her professional background as a successful business owner and lawyer. Both candidates announced they will accept their seats in parliament. In her first interviews after elections, Anisim declared that she will initiate a law on state support for the Belarusian language and ask parliament to found a national university with Belarusian the language of instruction. Aliaksiej Janukievič, head of the Belarussian Popular Front (BPF party) revealed his excitement at the new opportunities presented by Anisim’s success to advance the status of the Belarusian language. Kanapackaja stated that she will use her mandate to implement UCP’s proposals and will work in parliament as a party member. She plans to propose amendments to improve electoral legislation so more opposition candidates could get into the parliament. She will seek the realisation of the “One Million New Jobs” program, including changes in entrepreneurship and unemployment tax laws and public administration. Kanapackaja announced she would take the parliamentary seat only after extensive consultations with UCP party leadership. During a September 13 press conference announcing her decision, Kanapackaja​ stated there are no free elections in Belarus, but if such elections were held, she would win her seat. In a Facebook post she went further citing problems with manipulated turnout and a non-transparent vote count. UCP did not conduct observation at her district, though Tell the Truth did, and according to their observers, as noted previously, the count was highly non-transparent, and turnout failed to reach the threshold required by the election code. Tacciana Karatkievič, her competitor from Tell the Truth, did not contest the results and instead urged Kanapackaja to take the seat and work in the Parliament. Anisim and Kanapackaja will be joined in the parliament by a who’s who of bureaucratic insiders representing state hospitals, regional executive committees, the military, state schools and other aspects of the authorities structure. Ninety six percent of selected parliamentarians were predicted to take their seats by the independent media Naša Niva. Sixteen of the 110 parliamentarians will represent five parties, including UCP, and the Belarusian Patriotic Party headed by former pro-governmental presidential candidate and Cossack Ataman Mikalaj Ulachovič. The absolute majority of MPs are non-party. Seventy-three MPs are members of the pro-governmental association “Belaja Ruś” association. It is rumored “Belaja Ruś​” will transition to a political party in the future. In keeping with tradition, the parliament will have a relatively high percentage of female parliamentarians at 35 percent. Twenty seven of 28 incumbent MPs retained their seats.